The Good: Amazing body, recording-studio-quiet interior, an American car to be proud of. The Bad: Engine needs more oomph, interior seems a little tight for such a big car. The Verdict: Sensible shoes in a snazzy box. For the most part, American cars haven’t had a whole lot of love heaped upon them lately. While they still have their fans, especially among consumers who want to “buy American” (the coveted “git-‘r-done” market) or among legacy owners who’ve been buying the same brand for decades, American manufacturers have tended to concentrate on trucks while leaving passenger cars to the Japanese and Germans. But the tide has started to turn of late, as Ford, Chevrolet and Dodge have begun channeling new energy into their family car lines, with the new Chevy Malibu being the latest entry into the fray. The effort devoted to the Malibu is apparent from the first moment you lay eyes on it – it’s an honestly good-looking car. In an era when automotive design seems increasingly dominated with origami shapes and strange angles, the Malibu’s well-proportioned front end and sculpted sheetmetal make its primary competitors, the Toyota Camry and Honda Accord, look like Klingon shuttlecraft in comparison. The model I tested was a mid-level 1LT, one notch above the base LS model. Even in LS form, the Malibu comes laden with standard features, from keyless entry and traction control to front, side and curtain airbags. The 1LT package only adds on a few dalliances such as electronic stability control (a more advanced form of traction control) and 17-inch wheels – not worth the $1285 difference between the models. (1LTs start at $20,930.) My tester also came with the “power convenience pack,” which added a power driver’s seat, remote starter, and power adjustable petals for $665; all three options also come on the 2LT model, one rung higher on the Malibu ladder. 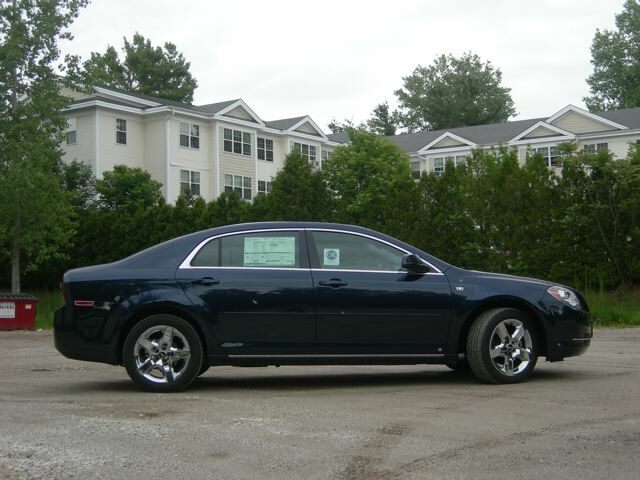 All told, my Malibu went for $21,595. All Malibus but the top-level LTZ get their grunt from a 2.4 liter, 169-horsepower inline-four cylinder engine; the LTZ gets a 252-horsepower 3.6 liter V6. (However, some cheaper models can select the V6 as an option, while the LTZ driver can also get the four cylinder if he/she wants.) Mine sent the power to the front wheels through a four-speed automatic transmission; a six-speed automatic like the one standard with the V6 should become standard on the four cylinder soon. My 1LT four-cylinder was rated at 22 miles per gallon city, 30 mpg highway; expect these numbers to improve a little with the six-speed transmission. Inside, the Malibu looks almost as nice as it does out. Hands fall on soft, compliant materials in most places they land; one strange exception was the window sill, which could really use a little more padding, considering how many people like to rest their arm there. (On a related note, like all too many cars, the Malibu’s locking mechanism sticks straight up out of the door and into your arm. Will someone please tell the manufacturers that people like to stick their arms out the side window?) Metallic-looking plastic sets off the radio controls as it does in many cars, but the plastic used in the Malibu looks much less cheap than in most other cars. Still, a closer examination of the interior reveals an awful lot of seams where pieces of interior trim jigsaw together. The cockpit itself is tight, wrapping around the driver in a way that could either be interpreted as cozy or constraining; the charcoal color scheme inside mine definitely pushed it closer to the uncomfortable end of the spectrum. The view out the windshield and windows isn’t particularly good, either; quite a few smaller cars, such as the Honda Civic, offer a much more expansive (and safe) view. So what’s it like on the road? The first word that comes to mind is quiet. Chevy touts the Malibu’s “acoustic laminated glass” and “extensive sound deadening,” and rightly so; you could hear a mouse fart at highway speeds. But performance, at least on my tester, was somewhat of a downer. While the suspension did a fine job of soaking up speed bumps and potholes without making the car feel like the Queen Mary, the four-cylinder four-speed combo just doesn’t have the guts to move the 3,436-pound Malibu around quickly without digging deep into its rev range (and in turn, hurting fuel economy); low-range grunt seems especially weak. The Malibu had difficulty keeping up with stop-and-go rush hour traffic; sudden greens force the engine to rev into the neighborhood of 4,000 rpm just to keep pace. Car and Driver magazine recorded an 8.7 second 0-60 time for the Malibu LT; a comparable Honda Accord did it in 8.2 seconds, while a similarly equipped Toyota Camry did it in 8.9. The addition of the six-speed transmission, whenever it comes around, will probably improve the problem, but for now, the four-cylinder Malibu just doesn’t feel like it has the guts to keep up with its primary competition, the Toyota Camry and Honda Accord. (Equivalent Camrys and Accords weigh about 200 pounds less, and offer five-speed transmissions.) Consider it the price of being able to hear the mouse flatulence. So what does that leave Chevy, and us, with? Well, certainly not a performance machine; then again, anyone looking for a sporty ride for this sort of money is more likely to look at the smaller, faster Civic Si or Volkswagen GTI – or even a Cobalt SS within Chevy’s own stable. The Malibu, instead, is just supposed to be a good old-fashioned family sedan, the sort of car American manufacturers dominated the roadways with for decades. Today, though, the family sedan market is dominated by cars from the Land of the Rising Sun – and they’ve been doing it better for quite a while now. 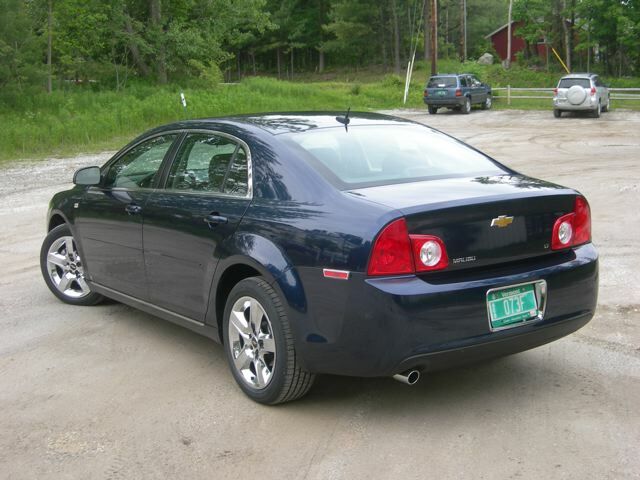 The Malibu is a good shot; it’s brilliant, in fact, compared with the brand’s passenger cars of only a couple years ago. And now that gas prices might well have put the Big Three’s pickup truck cash cows out to pasture for the foreseeable future, we can expect to see a lot more resources flowing into cars like it. 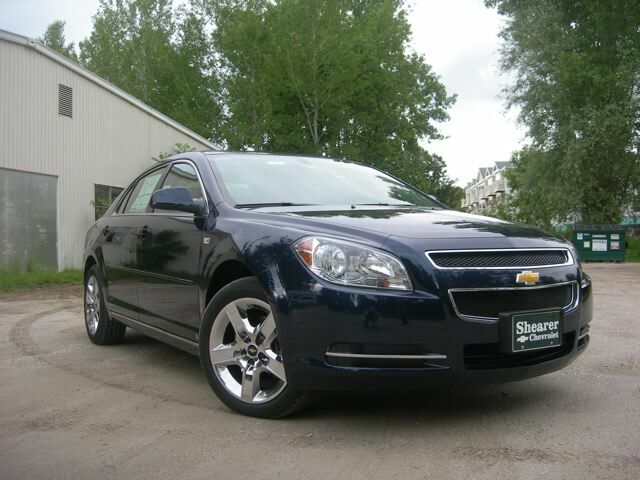 If you need a good mid-size sedan, you probably won’t go wrong with the Malibu. But you’ll have more fun in an Accord. 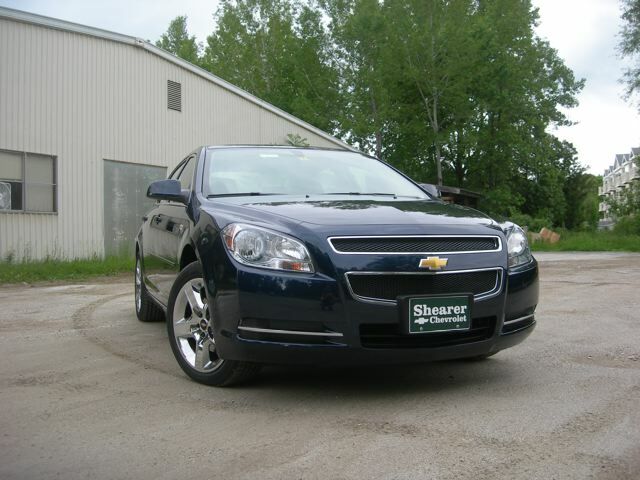 Thanks to Mike Poulin and Shearer Chevrolet for their help with this report.